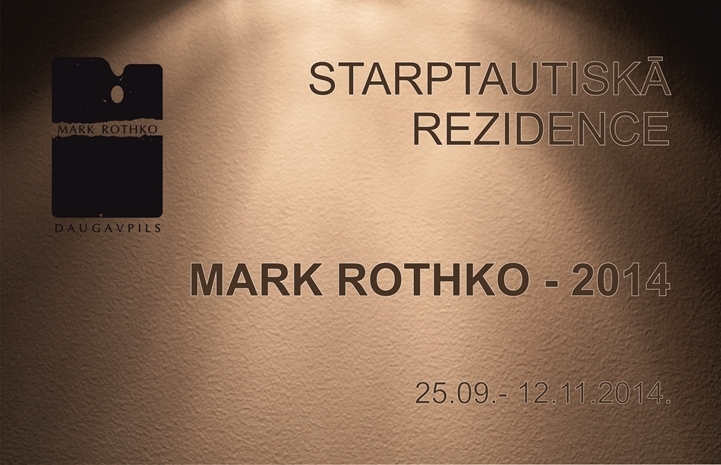 This year the International Residence “Mark Rothko 2014” will celebrate its first jubilee and will also simultaneously mark both ten years in the development of Mark Rothko Centre and a decade in Latvian contemporary art. Daugavpils and the Dinaburg Fortress have become places recognizable in the world, the places where artists meet to irreversibly transform the image of the city and the region through their masterly strokes of brush, and this image, in its turn, has left an imprint on the map of contemporary art having become an integral part of it. Art is the power of creation and ability to perpetuate a moment, leaving for the future to evaluate it. This year the international residence “Mark Rothko 2014” has been attended by 10 artists from different countries of the world – each of them brings part of the world to encapsulate in canvas which will become a part of the collection of Rothko Centre.